Over the years, our roofs can sustain a tremendous amount of damage. This can often lead to leaks and other damaged portions of our homes, all because our roof has been compromised. For top rated roofing contractors who can repair your tile or shingle roof in Sun City, contact the roofers at Arizona Roof Rescue. With excellent five star client reviews on Google, Yelp, Angie’s List, and Home Advisor, our roofers are among the most trusted in Sun City. Can provide you with top rated roofing services to make sure your tile or shingle roof remains strong and well taken care of for a long time to come. Since the 1960’s, Sun City has become a widely known city for being the first planned active retirement community. Home to nearly 40,000 residents, Sun City has developed into a diverse community of new families, retirees, and residents who work in Phoenix. Although Sun City mostly consists of retirees, most of these residents are travelling to other parts of the country during the summer months. It is during this hot season when the most damage is done to rooftops, due to intense heat and electrical storms. Normally, this is taken care of immediately, but in Sun City, many of the homeowners are away from town, and the damage is left abandoned, only to worsen with the following months until they return home in the fall. With that information in mind, Sun City is often overlooked by most roofing companies. This is for a number of reasons; namely that there are not as many businesses in need of roof repair as there are neighborhoods. These circumstances make it hard for those who live year round in Sun City, and residents who are out of state are unaware of the harm done to call for repair during the times when Sun City rooftops are most vulnerable to damage. When you need a roofing company that is licensed, bonded, and insured, and one that is capable of taking on your roofing project in Sun City, contact the professional roofing contractors at Arizona Roof Rescue. With quality and satisfaction in mind, we can repair your roof today. When your roof has reached its peak in life and you need new roof installations from qualified professionals, contact the trustworthy roofers at Arizona Roof Rescue to give you emergency roof installations for your tile or shingle roof home or business in Sun City. For a roof repair company in Sun City that is dedicated to providing quality roof repairs by trusted roofing contractors, contact the professionals at Arizona Roof Rescue. Our experienced roofers can make sure your roof is repaired quickly and efficiently when you need it most. Weather in the Sonoran Desert is paradoxically unpredictable, especially during monsoon seasons in the summertime; it could be clear and sunny one moment, without a cloud in the sky, and the next, the sky is black and the streets are covered in hail and mud. Not to mention, there is always dust, and lots of it. this usually accumulates in the air filters on a regular basis, and it’s not easy to clean out. All of these occurrences cause unpredictable leaking and tearing of rooftops, and with the dirt, can cause poor insulation, a ridiculous air conditioning bill, and unexpected visitors, such as wolf spiders and scorpions, who enter the houses from torn open holes. We can replace roof boards, tiling, fix your gutters and get you new filters! And, being the Home of the Sun, there’s a lot of sunshine to go around, which is why we also assist in adjusting you sun panels and satellites. This is all done at an affordable price that will keep you and your wallet cozy. We can’t let Sun City get conquered by the natural forces of the Valley! 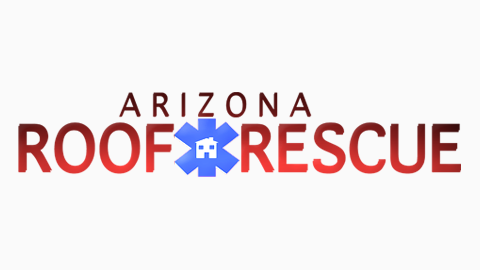 Call us at Arizona Roof Rescue to save your roof from destruction! Email Phone Please leave this field empty. 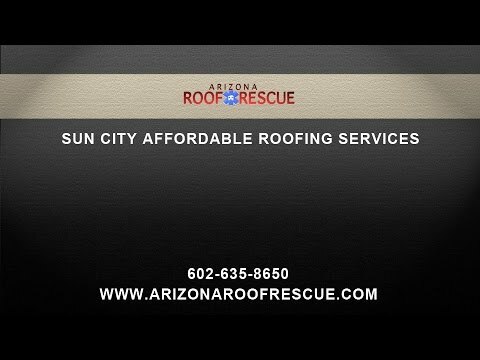 At Arizona Roof Rescue, we are proud to serve the Sun City areas of 85345, 85351, 85327, 85373, and 85378, bringing you long lasting and durable shingle or tile roofing to your home or business. With an A+ rating with the Better Business Bureau and five star client reviews, you can rest assured that you are getting the highest quality roof repair, new roof installations, and roof replacements in Sun City. With over 20 years of roofing experience, you will find no better roofing company in Sun City to take care of your roof. For more information about our extensive roofing services, contact us today. Headquartered On The Sun City Glendale Boarder!